In 1987, Admiral Cruises ordered a ship from Chantiers de l'Atlantique in St. Nazaire, France, which they planned to call Future Seas. 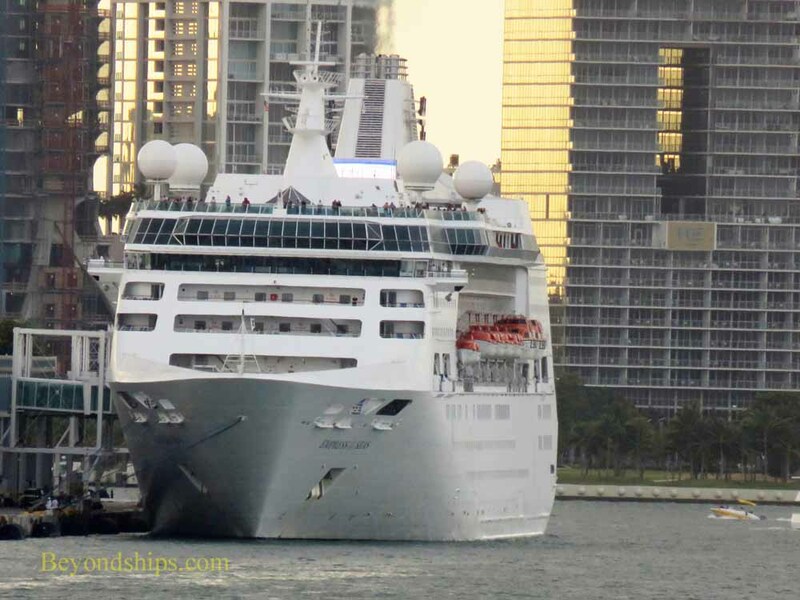 However, before the ship was completed, Admiral had merged with Royal Caribbean and as a result, when the ship emerged from the shipyard in 1990, she was Royal Caribbean's Nordic Empress. and added certain alternative dining venues. At the end of the refit, the ship was named Empress of the Seas by Gloria Estefan. 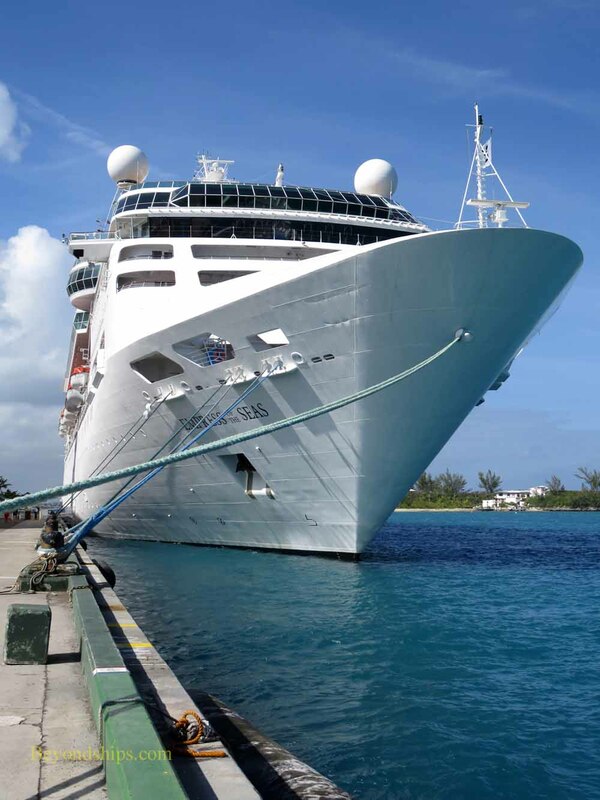 At less than 50,000 gross tons, Empress of the Seas, was becoming increasingly out of place amongst the mega-cruise ships in the RCI fleet which by 2006 included ships three times her size. However, the ship had plenty of life still in her. The solution to this quandary came with Royal Caribbean's purchase of Pullmantur, the largest Spanish cruise operator in late 2007. Pullamtur had started as a Madrid travel agency in 1971 and began to offer cruises of its own on chartered ships in the late 1990s. In 2000, it began acquiring ships of its own in the secondary (used) ship market. Demand for cruises in Spain and in Spanish-speaking countries was growing so rapidly that Pullamntur quickly purchased more ships. 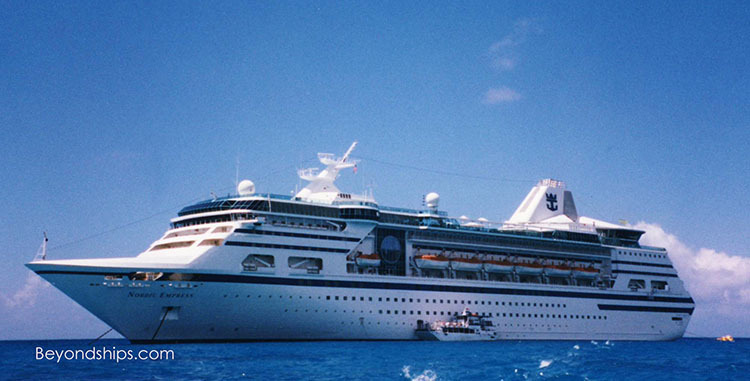 By the time of the Royal Caribbean acquisition, it had an array of ships of various sizes and types. 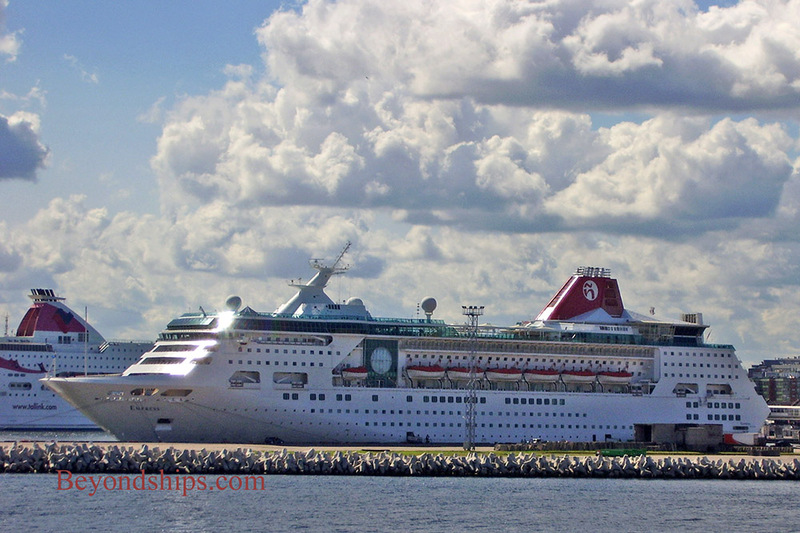 When Royal Caribbean took over, it decided to re-distribute the ships amongst its various brands in a more rationale manner. 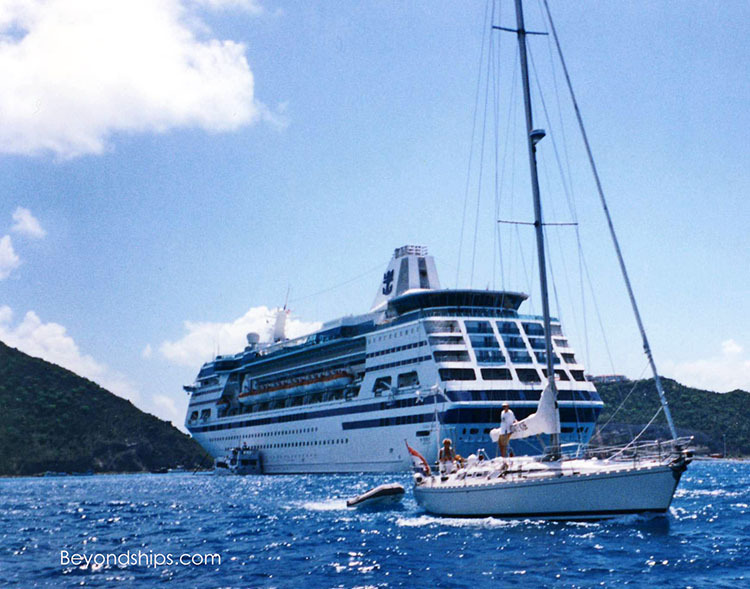 Two of Pullantur's smaller premium ships were sent to Royal Caribbean's luxury brand Azamara Cruises (Azamara Journey and Azamara Quest). In return, Pullmantur would receive two ships of approximately 50,000 tons that would have double the passenger capacity and which were more suited for the type of cruise offered by Pullmantur. 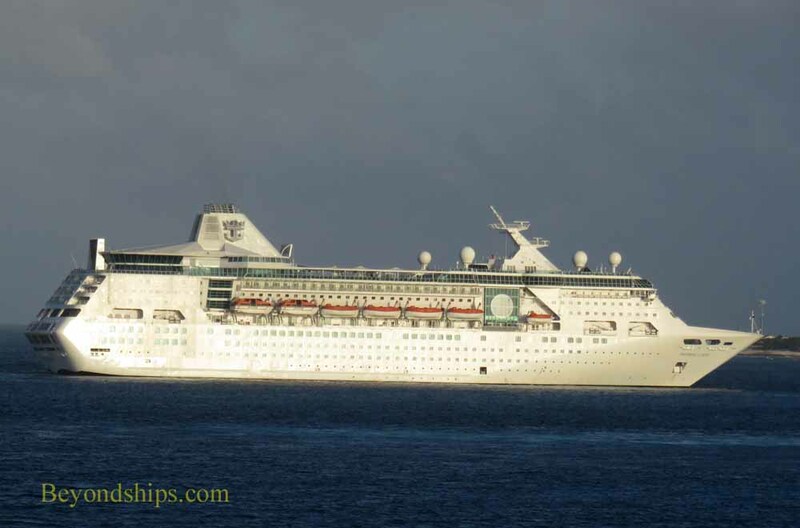 The ships were Celebrity Zenith and Empress of the Seas. 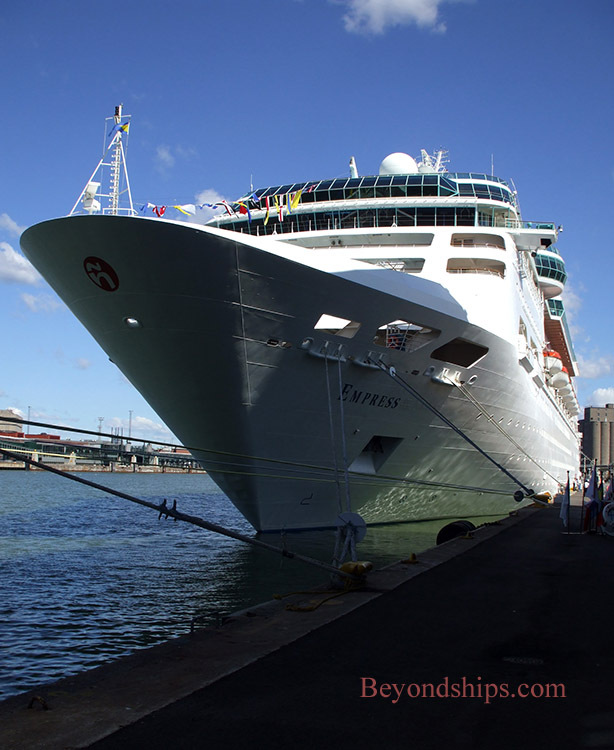 Accordingly, in March 2008, Empress of the Seas left Royal Caribbean. 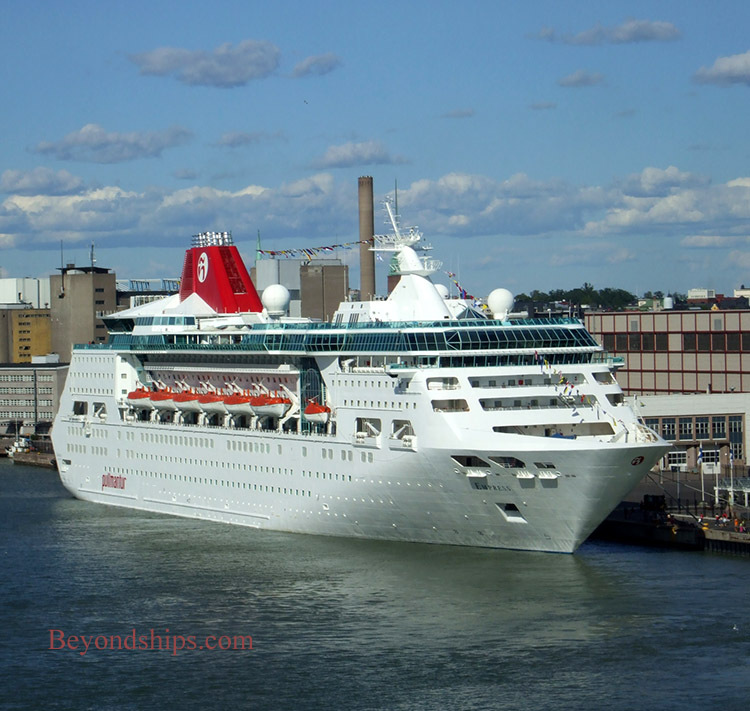 Shortly thereafter, she was refurbished and bearing a new livery and the name Empress, the ship went into service for Pullmantur serving primarily Spanish-speaking customers. 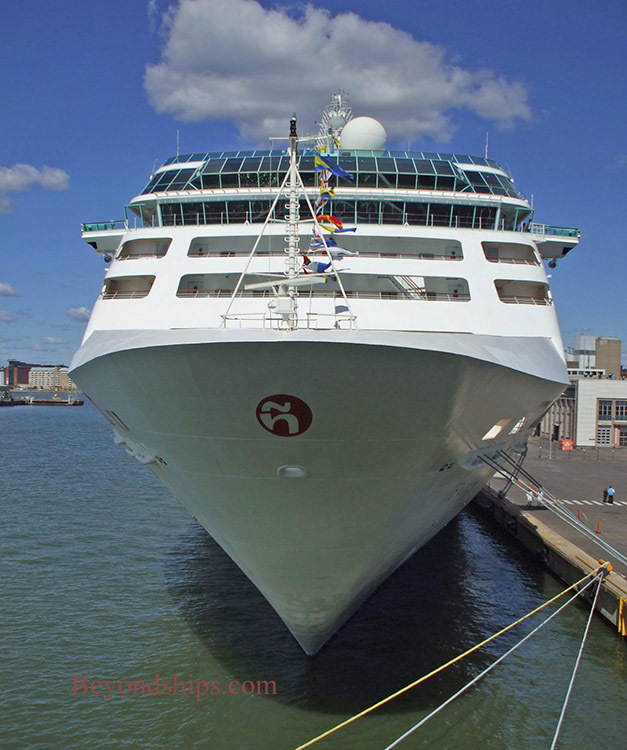 With cruising from the United States to Cuba becoming more of a real possibility, Royal Caribbean decided it needed a small ship that could negotiate the ports in Cuba. 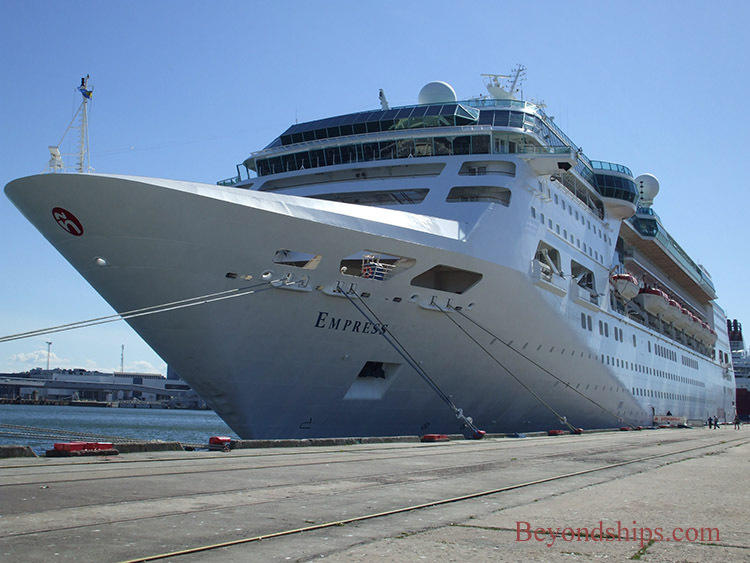 Therefore, in 2016 Empress was recalled, given a $50 million refurbishment and given back the name Empress of the Seas. Among the new features added to Empress were an expanded version of Royal Caribbean's Boleros latin-themed lounge, a Chops Grille specialty restaurant and the line's high speed internet service. 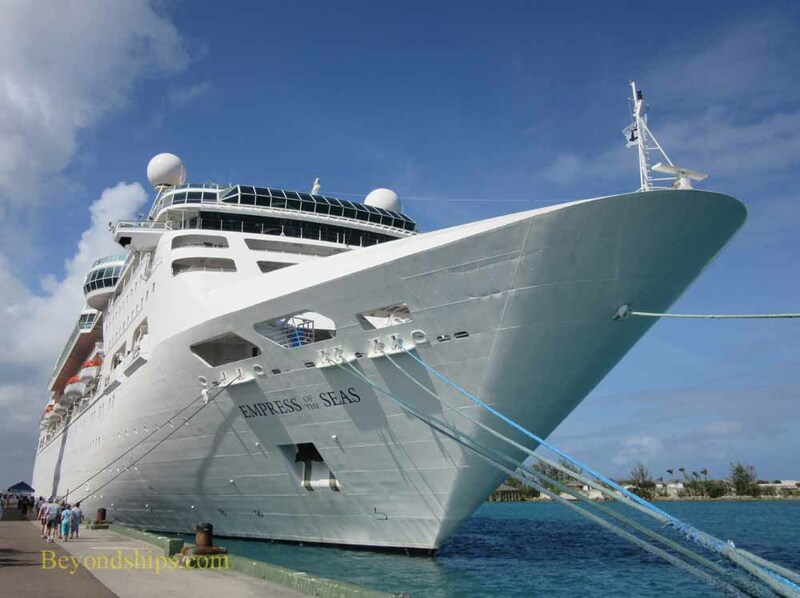 The revitalized Empress does not have all the features of the larger Royal Caribbean ships. However, the ship's fans cite the ship's more intimate size and relaxed atmosphere. 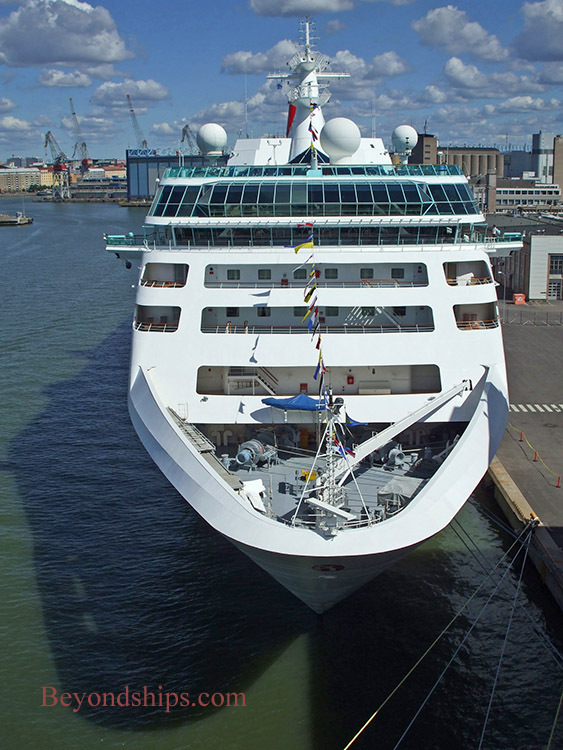 ​Above and below: The ship as Nordic Empress during her first incarnation with Royal Caribbean. The ship as Pullmantur's Empress. Above and left: In Talin, Estonia. Below: Empress in Helsinki, Finland.